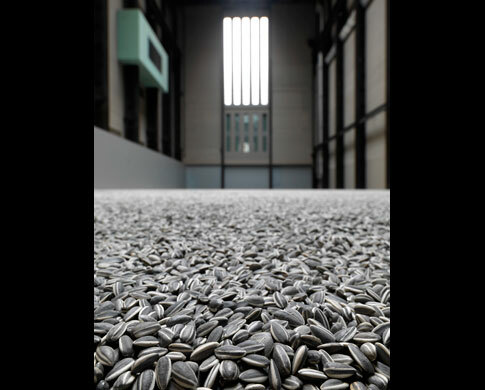 Ai Weiwei’s Sunflower Seeds This sculpture presented by the conceptual artist was made up of over one hundred million porcelain sunflower seeds. The seeds we handmade by hundreds of artisans working in small workshops in the city of Jingdezhen, China. The exhibit is meant to evoke thoughts of the role of the individual in society, our increasing numbers and the effects of our needs, wants and demands on the world. It is made all that much more meaningful by the recent arrest of Ai Weiwei. 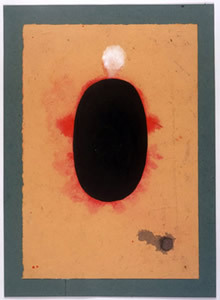 Shiva Linga Paintings These were perfectly introduced by Franck Andre Jamme: “The thought has often occurred to me that perhaps never in the universal history of painting, have works at once so mysterious and simple, yet so powerful and pure ever been produced – a bit as if, here, man’s genius had been able to assemble al most everything in almost nothing”. The were created as aids to meditation and indeed they are powerfully meditative. While looking at them, I had to wonder if Mark Rothko studied them such are the parallels between his work and these paintings both in simplicity of design and intended purpose. Rivane Neuenschwander: Rain Rains This incredible installation in the New Museum in Manhattan was introduced rather limply as: being “an environment of leaking buckets that are controlled from flooding by a Sisyphean recirculation tended to by museum staff in four-hour cycles”. This description fails. Rain Rains formed what may have been the most for me moving few art-related moments of 2010. The slow leaks of water from suspended metal buckets to matched buckets below, formed a symphony of plonkety-plonk sounds that filled the room and my heart. Perhaps this again begs the question of why certain art moves each of us individually so much. Why was there, for me, such transcendental power in this room of “rain”? 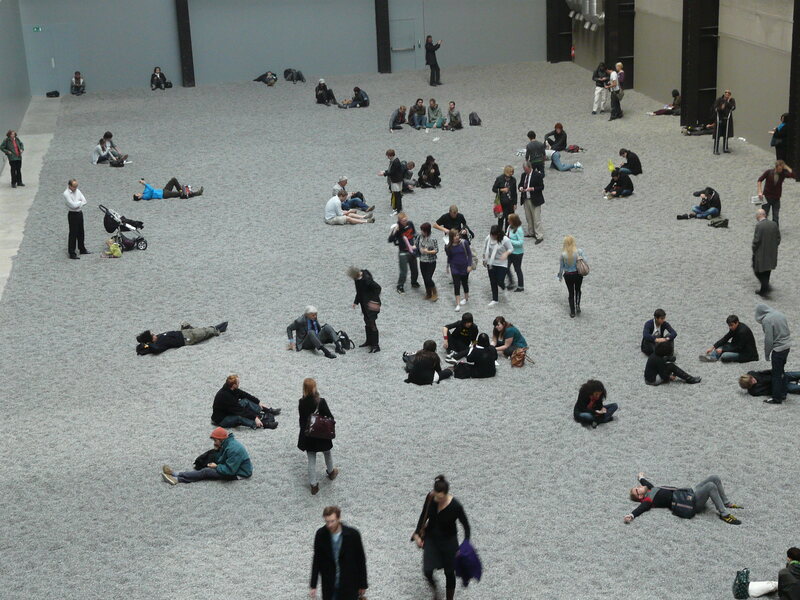 Tino Sehgal’s This Progress: Surely this would be on the list made by any NYC art-goer over the last year or so. As I walked up the ramps in the Guggenheim I was in turn approached by 4 peo ple of increasing age (from about 11 to 65) who walked with me for a level. As we walked we talked. I was asked in turn (increasing in age and altitude with each question): “what is progress?”, “Is personal choice always good?”, “what is the meaning of the word amateur” and “This is progress?”. I have continued these magical discussions in my mind since. Jennifer Steinkamp’s Rapunzel. I spend much of my time in museums wishing that all good art had a comfortable bench placed right in front of it to facilitate relaxed contemplation. Such seats are rare. Rapunzel is hung in a stairwell at the Crocker Museum. The steps their form an unusual but restful nook to perch in while watching these enchanting swinging vines; perhaps the best “bench” of the year. I have a test question for you. If I spent my Sunday trying to perfect Boston cream pie whose paintings did I enjoy on Saturday? It was a rainy Saturday so my daughter and I went back to the Crocker Art Museum. 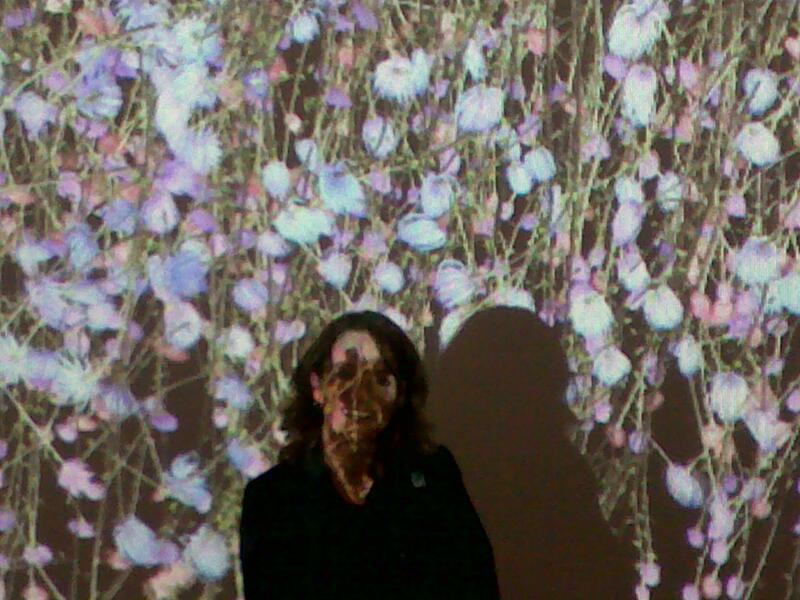 The art we soaked up got me thinking and, questioning again. 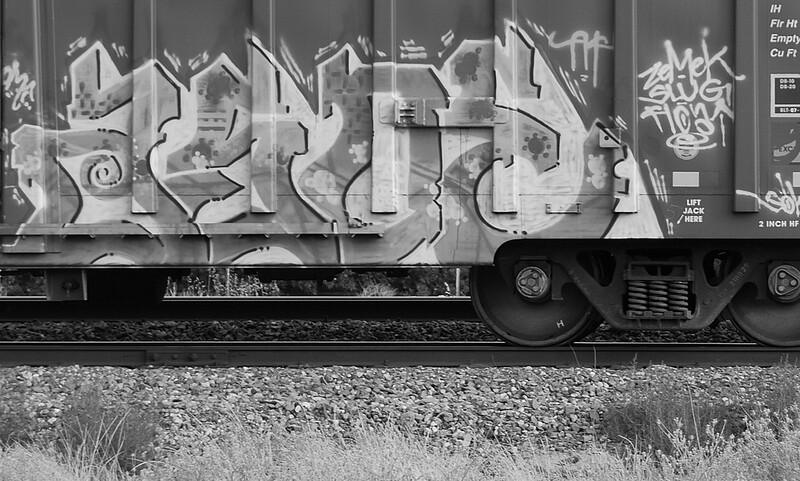 I have asked here “Is THAT art?“, “What IS art?” and “Is graffiti ART?“. Now I am led to ask why did the artist choose that subject; why THAT art? We saw a broad range of art at the Crocker. First we spent an hour looking at an exhibit by John Buck entitled Iconography. Every strikingly beautiful print was as striking in its capacity to generate thought. They were very large format wood block prints carved with bold designs and filled from top to bottom with intricate details. It was those details that got the discussion flowing. One print was of a bottle filled with carvings depicting the effect of the arrival of the white man on the Native Americans – the deadly cost of our disease and alcohol. Another depicted the environmental price of deforestation and oil drilling. By making these discarded boxes art, he gives them permanence and value, challenging our assumptions about reality and artifice. At the risk of sounding uneducated, I don’t get it. A docent tried to explain the work to me but left me wondering if I was looking at the emperor’s new clothes and feeling that some one was telling me a story already told well enough before. Besides this judgment, my biggest question was this: “WHY mailing boxes”? Next we entered the permanent collection which includes the works of many California artists. 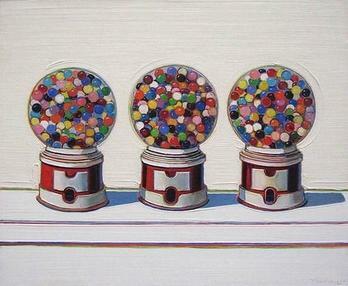 Positioned to the forefront; in the first room is a group of paintings by Wayne Thiebaud. Thiebaud paints with thick brush stokes of vibrant colors; bright white, edges of purple and orange. He depicts scenes of San Francisco’s rollercoaster streets and some central valley landscapes but is most known for desserts. Not deserts, no. Cakes, gumballs, pastries and pie. Boston cream pie to be exact. I love pie and really enjoy his work. It makes me hungry. But that day mixed with my hunger, was that same thought. Why does Thiebaud paint dessert? Two great artists. One etching monumental works of powerful concept. One painting with mouth-watering precision, pie. Why the pie? So indeed, some art may just be meant to make us happy. Now, does anyone have a better recipe for me?